Overall size is 35mm. Shown with black onyx. 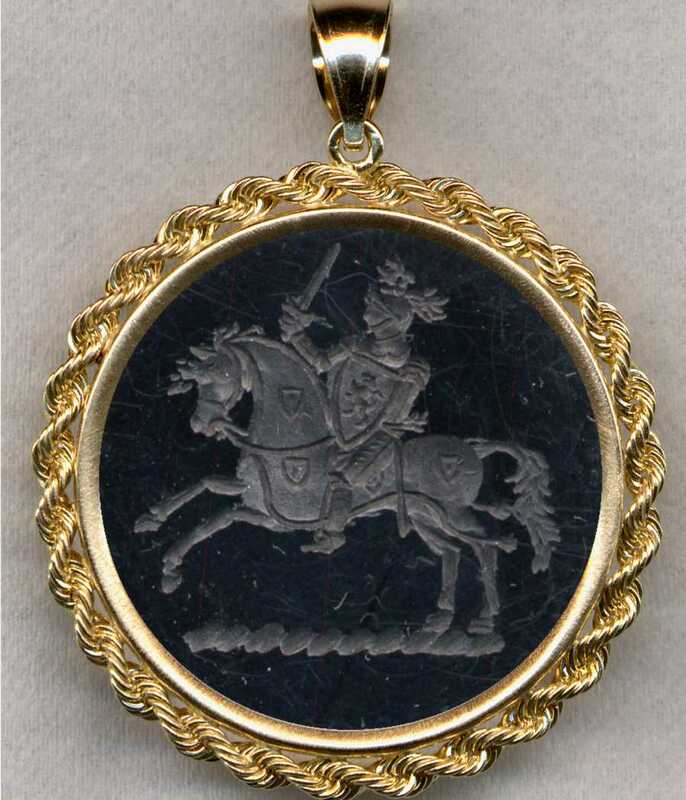 Horseman with Shield and Sword. Due to its size, this pendant is not available with bicolor agate.